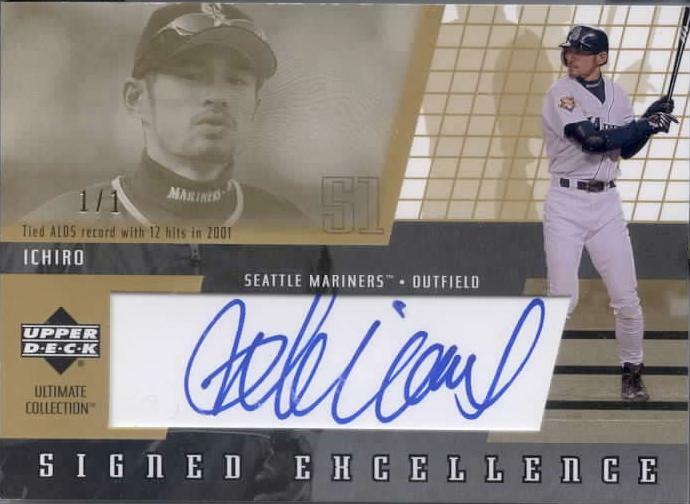 With Upper Deck's December 2002 release of the seven-card Ultimate Collection “Signed Excellence” series, Ichiro collectors are treated to  or teased by, depending on your circumstances  eight new cards bearing Ichiro's signature. Signed Excellence - 56 Steals in 2001 #I1. Signed Excellence - 51 Hits in August 2001 #I2. 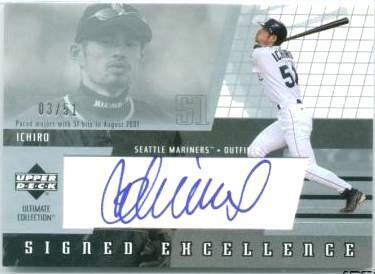 Signed Excellence - 23 Game Hitting Streak in 2001 #I3. 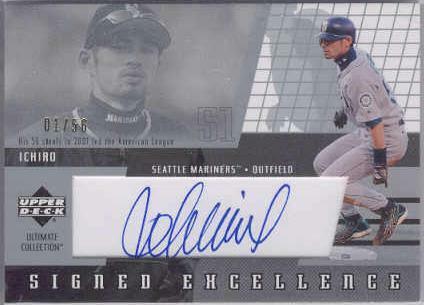 Signed Excellence - Tied ALDS record with 12 hits in 2001 #I4. 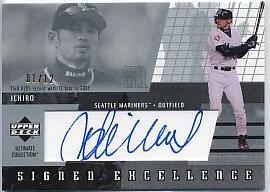 Signed Excellence - Tied ALDS record with 12 hits in 2001 #I4 Gold. What makes I4 Gold so special is that it is a signed one-of-one masterpiece. 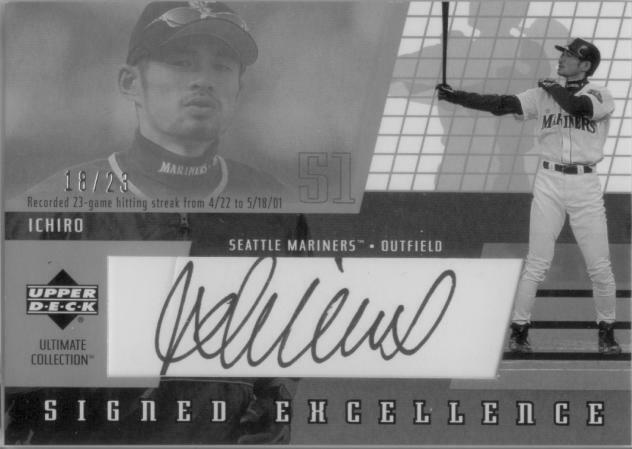 And while there are many 1/1 Ichiro cards and dozens of other signed cards  this gem was the first SIGNED 1/1 Ichiro card ever made! About a year-and-a-half later, UD issued two more signed one-of-ones as part of their 2004 SP Collection, and there will surely be others in the future. 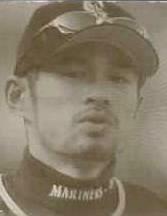 Still, I4 Gold will remain a real prize  as the very first 1/1 card offically signed by Ichiro before leaving the factory. 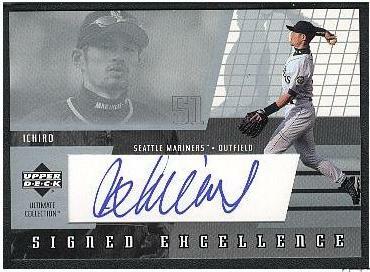 For a complete list of all signed Ichiro cards click here.